We will hold “Street Fighter III 3rd STRIKE” Tournament at EVO Japan 2018 side event. 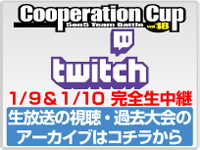 It is Special edition of the world’s best 3s convention “Cooperation CUP”! We will do my best to enrich Japan’s first EVO with 3s! Players will be divided into 8 pools. 1st place in each pool will advance to top 8 tournament. · Game stopping bugs are prohibited. · Janken(rock-paper-scissors) before the match to determine the cabinet side. 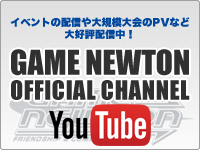 ・In case of stick/button troubles, players are to raise their hand the moment it is noticed. Advanced registration has closed reaching 96 players. Registration will be accepted during 13: 30～15: 00 at hall A-1. Time zone for all players is released below. 2007 was my first Evo in Las Vegas. I’m happy to attend Evo Japan in 2018. Thank you Mr. Matsuda and Evo. Looking forward go a great year! I’m a Scottish player living in China, so I’m looking forward to entering the tournament. Thank you for organizing this. Long live Third Strike! Thank you Matsuda-san for organizing this event. I’ll do my best!